A division of Premier Massage Therapy Inc. now booking! 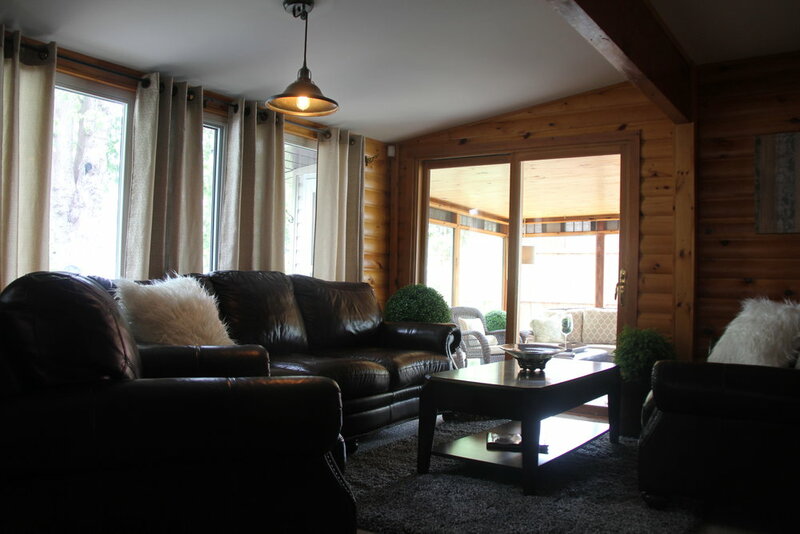 Week-long summer stays on the Big Rideau Lake, ideal for couples retreats, friends getaways or family vacations. Fall & Winter V.I.P. weekends and special events coming soon!! This tree lined property creates a tranquil spot to unwind with family and friends. Rideau Premier Retreat is nestled on the south shore of the Big Rideau Lake, just minutes away from the picturesque town of Rideau Ferry. The main lodge and guest house are located on a beautiful waterfront property, with ample space to enjoy every moment of your getaway with family or friends. Enjoy beautiful views of the lake and main channel from the shore side patio, dock your boat at the private boat launch while you're not out fishing for bass, walleye & trout, or swimming in the pristine Big Rideau. Take a short drive to the historic town of Perth for some sightseeing and boutique shopping, or just relax and unwind in the modern chic interior of the main lodge or guest house. This property has everything you'll need to enjoy a memorable family vacation, couples weekend or friends getaway. With so many experiences at your fingertips, you're sure to enjoy your stay at Rideau Premier Retreat. *Throughout the months of July & August, Premier and Omeara Lodges are only available to book together. A 15% discount will be applied to the second week of stays booked for two weeks in length. *10% discount on stays of two weeks or more. **15% discount on Omeara Lodge rental fee, is applied to weekly rentals of both Premier and Omeara Lodges (ideal for families sharing their holiday with adult children or friends, looking to maintain privacy). This lake-side sunroom is a wonderful way to cozy up! Our most quaint and alluring all season retreat guest house.